Hey y’all! If you’ve been following along with me for a while, you know how much I love to thrift shop. That’s actually why I started this blog in the first place, to help people see the benefit and value in thrift shopping (and hopefully save you some money). 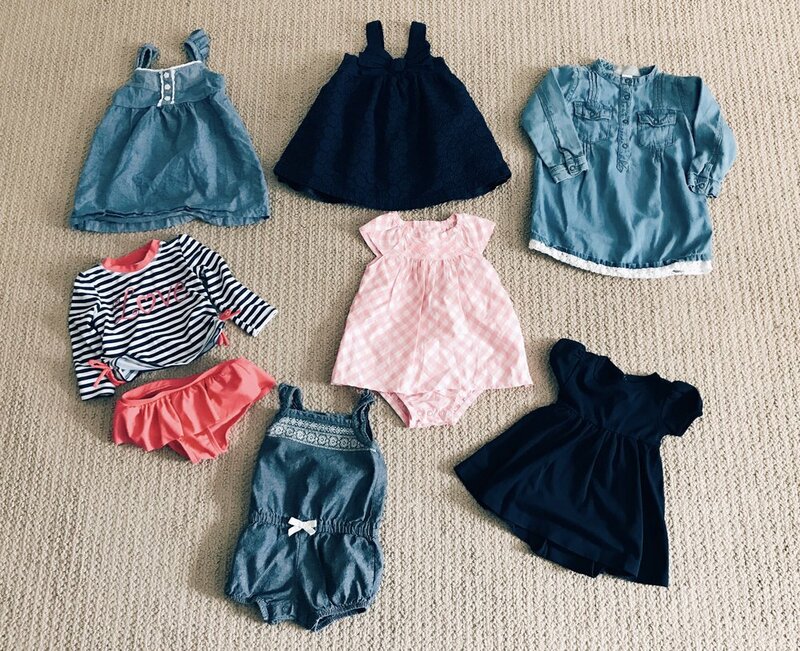 I’ve partnered with ThredUP again to share their kids summer styles, so you can shop secondhand for everyone in the family. I’ve partnered with ThredUP before, but so far, it has only been with pieces for myself. I did a post during my regular size (4/6), before pregnancy with my second; you can find that here. I also did a thrifted maternity featured blog post for them as well, here. Thrift shopping is a great way to save money on very good condition, secondhand, name brand clothes and sometimes even new items. I shop secondhand almost exclusively for my children’s clothes, because they out grow or damage them too quickly to replace with retail prices. I have a seven-month-old who spits up 50 times a day and a three-year-old who is potty training and 100% boy. So you can imagine the kind of clothes that go through my laundry! Well, when summer was approaching, my daughter had just outgrown pretty much all of her clothes at that point, so I was ready to find her some cute dresses for summer events, Church and things like that. It’s easy to find her onesies at local thrift stores, but nicer things, are a little bit harder to come by. I knew ThredUP would have just the pieces I was looking for. Here’s what I found for her, around $30. My son pretty much had all of his clothes for the summer handed down to him from a family friend, so I ended up getting him clothes for next year. He doesn’t outgrow his clothes as quickly as my daughter, but he definitely ruins them just as fast. His ThredUP haul was right around $50, but each piece was only $5-$7!! Aren’t these such great finds?! There are no stains on anything and several of Silas’ pieces were brand new! I tried to keep the totals around $50, so you could see the value of just how far your money can go when you shop secondhand. You would never know these clothes were thrifted just by looking at them. They look straight from the store. I do also want to point out that I am extremely frugal when it comes to thrift shopping. What I mean by that is, I have a certain amount I will spend on used clothes; depending on the item, the item’s condition and the brand. The good thing about ThredUP is, (even if their prices are sometimes a little high for me) if they have too much stock or the change of seasons, they will put things on clearance so you can get even more savings! I’m going to tell you my secret for how I shop online to get the BEST prices. I automatically set the “search filter” to lowest price first, no matter what I’m looking for. I always want to pay the lowest price possible. And if I can find something similar to what I'm looking for, at a price I’m comfortable paying, I will get it! With Silas’ clothes, I put in the following filter on “new with tags”, his size, and lowest to highest price. All of his pieces aren’t new with tags, but they are all very low. And that’s how I’m able to find great quality things at such low prices. Another thing I tried for the first time with ThredUP was their goodie box. This is similar to stitch fix and other styling services. However, this box only costs you $10 if you don’t purchase anything, and if you do, the $10 will be credited towards your purchases. They give you 15 items based on which box you chose (there are 6 right now) and how you fill out your survey. In light of summer, I chose the “Tropical Getaway Box”. We’re going to Charleston in August and I wanted to see what kind of pieces my stylist would choose for me. It was fun trying on a bunch of clothes that were specifically chosen for me and I got to try them on in the comfort of my own home, on my own time. As a mom with two very young children, that is THE BEST. And you get to ship back the items you don’t want for free, no extra charge, no paying for pieces you’re not thrilled with. I suggest you give it a try at least once and see if it’s a good fit for you. 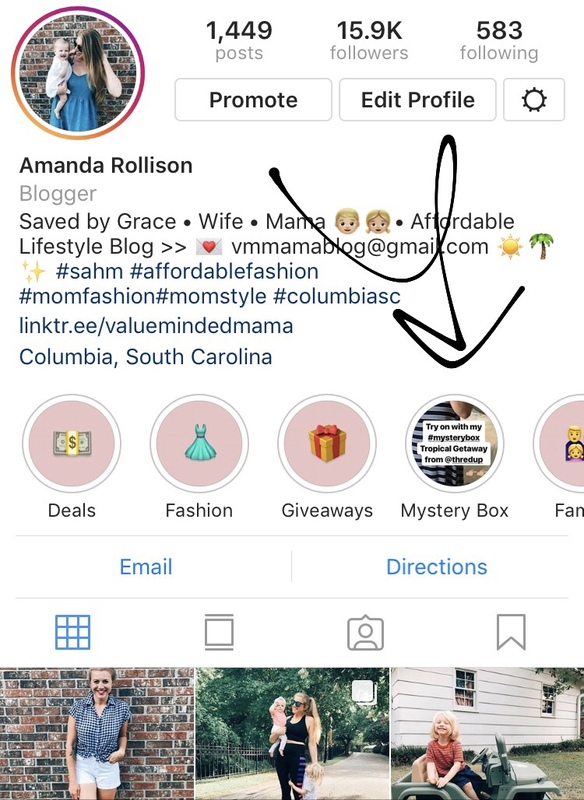 If you want to see more about what was in my box, I’ve saved it in my highlights on Instagram (go HERE). Here are the items I ended up keeping from my box. I hope y’all found this thrifty summer guide helpful! ThredUP is always my first stop when I shop secondhand! They have such a great selection and are always running deals. Plus, it's always fun to try new things (like the Goody Boxes), especially when it comes to shopping and fashion. And who doesn’t love to save some extra cash?! I would love to know if any of you have shopped with ThredUp before or actually tried one of their Goody Boxes! Leave a comment below with your experience. If you haven't shopped with ThredUP before, you'll get $10 off your first order when you click HERE. Happy thrift shopping yall!